I took a run through the city yesterday morning and found a totally other reading of the city. Something about moving at a fast pace and stringing together a series of places made the experience dense. I find running to be a way of knowing and the varied routes helping me to decode this place. 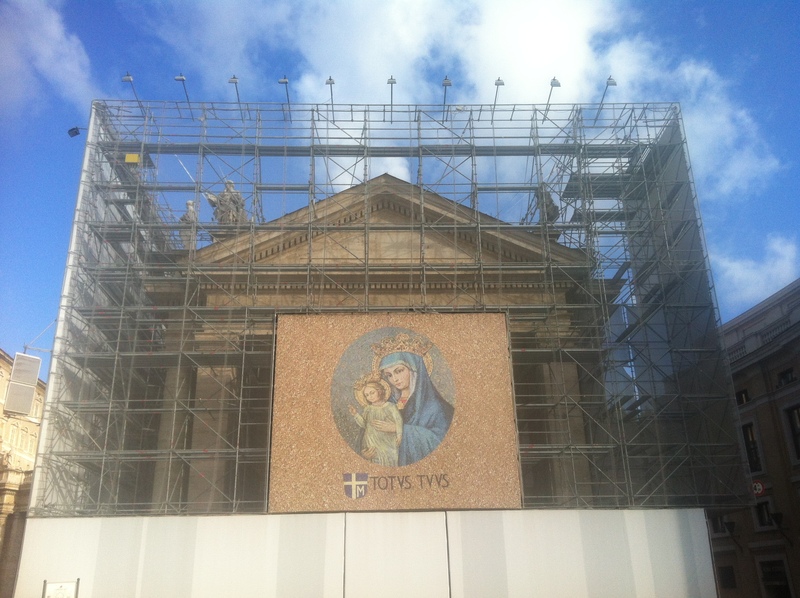 One thing I observed while moving through the edge of Saint Peters were all of the venders getting set up with the sunrise, trunks and trucks open, tables unfolded, boxes unpacked, this against the scaffolding shrouding the collonade. Somehow the temporalness and simultaneity of all these things made perfect sense.